Last Tuesday, February 5 was National Safer Internet Day. 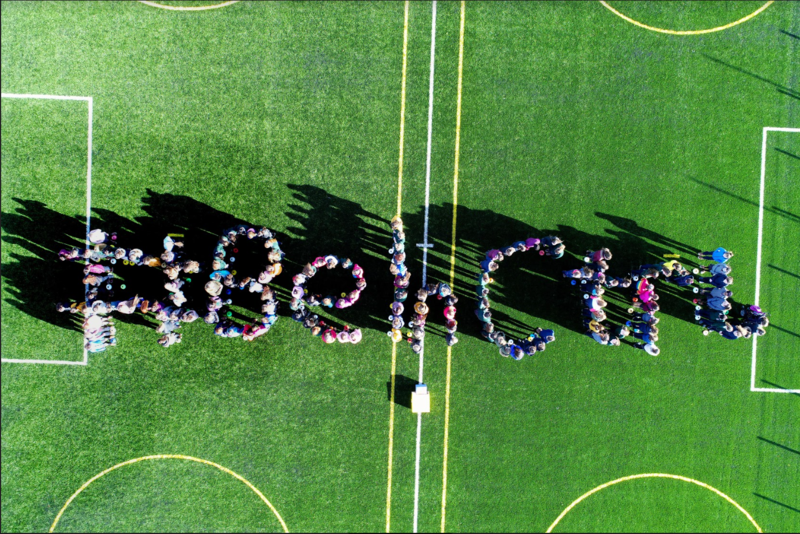 As part of the events organised in Scoil Mhuire, Carrick on Suir, first, second and Transition year students gathered together and formed a human #Be in Ctrl. This was the catchphrase for the day. 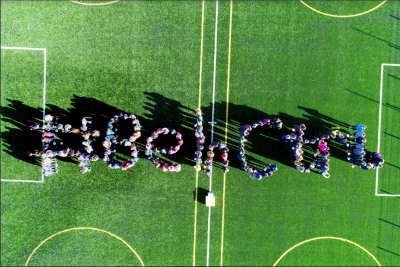 The photo was taken on the new astro turf which was installed at the school in December. This was one of the activities organised in the school by “4 Deirdre”, one of the three TY classes. Students as part of their SPHE programme made a giant mascot SID ( Safer Internet Day), prepared and delivered a Kahoot and Powerpoint presentations to junior classes, produced posters and banners and handed out wristbands to all students in the school. 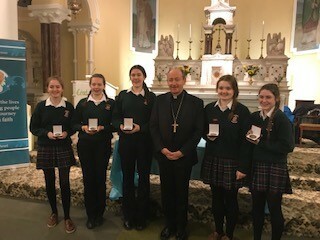 Awards are earned by taking part in parish and social activities – 1 hour per week over 8, 14 or 20 weeks. There are 3 Awards – Gold, Silver & Bronze. The students were supported in completing their tasks by Ms Nyhan during Transition year.